Philip with Erewash Borough Council colleagues. Phil Sudlow, 34, from Ilkeston, is a Benefits Manager at Erewash Borough Council. He and colleagues having been taking part in the Summer of Cycling Challenge during August and are ready to take on the 'Shake Up September' Challenge. Philip in competition on the bike. "We have been into the Workplace Challenge from the start when it was advertised via an internal email and we got quite a few people to sign on. 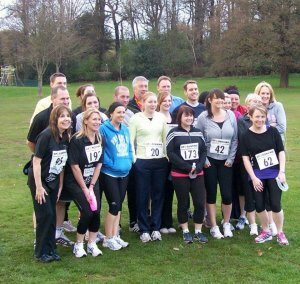 "At the time we had set up a running club and it gained some momentum from that because it helped people to log what they were doing. "I think there is an element of friendly rivalry and where people are encouraging and spurring each other on to do regular activity. "It gets people thinking about what activity they are going to do and how they are going to do it to get that little bit fitter. "I try to exercise most days one way or another and to see your points going on and adding up is a source of encouragement. "There are two or three people at the Long Eaton office who cycle to work when they can. "I like that you can work out how much CO2 you have saved and also how much money. Helping to save the environment and saving money – you can't grumble at that. 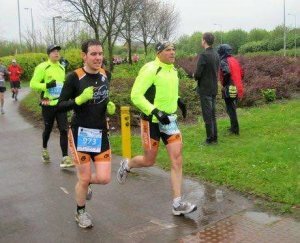 "I'm looking to get back into my training this winter and building up a better level of base fitness after doing only one triathlon this year at Holme Pierrepoint. "The 'Shake Up September' Challenge coming up can be a tool to help me do that." 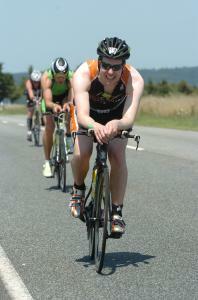 On the run in a triathlon. "If you think you are on a par with someone else in the office and they are doing more activity than you have, it pushes you to do the same as them. "We have had people signing up who it has inspired to do more. I know one lady who would probably class herself as not an active person previously and really got into it. "For me it's mainly cycling and running, so I have been able to team up with others from the council for the August Summer of Cycling Challenge.